For some, writing the author bio that will appear on the back of a self-published book seems almost as difficult as writing the book itself! 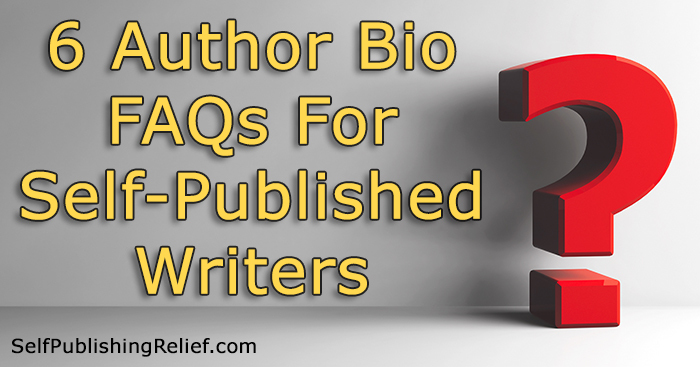 Self-Publishing Relief answers your questions and offers effective tips for writing a professional author bio for your back cover copy. Q. How long should the bio be on the back of my self-published book? A. Your author bio should be no longer than about one hundred fifty words—and that’s on the very long side. Remember, you’re only touching on the highlights of your writing career. Readers don’t need to know how old you were when you got your first tooth. Q. Should I give my author bio a personal touch? A. Your author bio is a great opportunity to encourage readers to care about you—in connection with your writing. When readers are curious about you as a person, they may be more likely to seek you out on social media or on your author website. And that opens doors for future sales! Be careful to avoid TMI: a phrase or two of personal information should do the trick. The bulk of your bio should talk about your professional achievements. And if you don’t have many yet, use these unpublished author bio tips. Q. Is it worth it to include ALL of my publishing credits in my self-publishing bio? A. A very long list of publishing credits, educational details, and awards might be interesting to people in publishing, but most people might find their eyes glaze over when readings such details. The key to deciding what to include and what to leave out is to consider your goals: Do you need your author bio to impress colleagues or to make a connection with readers outside of your field? There’s no wrong answer; trust your instincts to find the choice that’s right for you. Q. What are the best safety tips for writing my author bio? A. Don’t include any information in your author bio that could compromise your or your family’s safety. You may decide that you don’t feel comfortable publishing the name of your town or region, the names of your children or relatives, or your place of employment. Q. Are there alternatives to a traditional author bio? A. While your author bio can give readers a short overview of your writing and life, you may choose to include text inside your book that offers a better opportunity for creating emotional connections. Browse in your bookstore to find books that include “special features,” like interviews with the author, “dear reader” letters, and bonus content like essays on writing and life. Q. Do I really need to include an author head shot or portrait to accompany my bio? A. Some writers simply don’t like having their picture taken (let alone published). Other writers don’t want to attach their personal image to a pen name in order to hide their identity. Most publicists agree that including a photo with an author bio is helpful for marketing in an age of transparency and social media. But as an independent author, you get to do whatever you want to do! 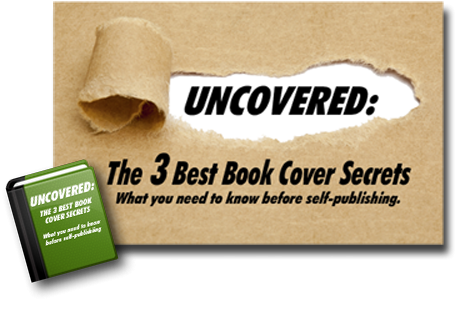 Learn more about how to create a great author portrait on a budget. Share with us: Post your author bio in our comments section!